Selected youth from UCAN’s Workforce Development program participated in the four-week mentorship curriculum that immerses participants into the basics of barbering. 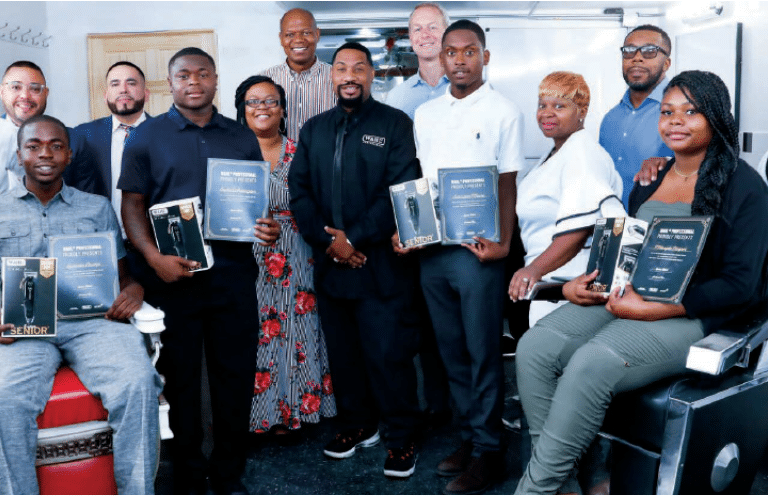 Each participant was partnered with a seasoned mentor from Raze Up Grooming Lounge, Nyra’s Hair Design Salon and Pro Image Cutz Ltd. in Chicago. Mikalya Harper, Andre Whittington, Quientin Crump and Sebastian Moore received full scholarships to His & Hers Barber School in Chicago. 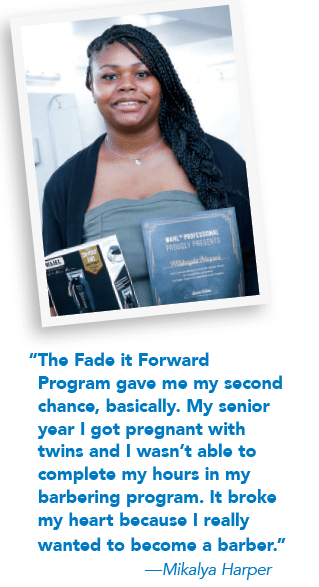 But the program meant so much more than a scholarship. For Sebastian Moore, it meant a fully formed future. “It helped someone like me transition from unemployment to my own career path,” he says.